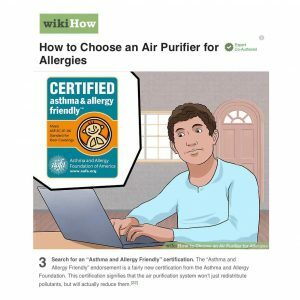 Great article published on WikiHow by recognised experts with the top recommendations to choose an air purifier. The part 3 of the article recommends the readers to look at ratings and endorsements including the asthma & allergy friendly® Certification. This certification signifies that the air purification system won’t just redistribute pollutants, but will actually reduce them. To earn certification, air purifiers must undergo rigorous chemical, physical and allergen testing to prove that they contribute to a healthier home. Certified products help consumers address indoor air quality, limit their exposure to harmful chemicals, and reduce allergens and irritants that can trigger symptoms. Click here to look at the air purifiers that have been Certified asthma & allergy friendly®.